The neck and back perform crucial bodily functions and injuries to either part of the body can be debilitating. Unfortunately, the structures that comprise both the neck and back are extremely sensitive to movement and force and can be easily damaged. 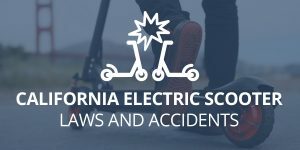 If you’ve injured your neck or back in a California auto accident, a personal injury attorney can help you obtain prompt medical treatment and fair compensation for your injuries. Once your injuries have been properly diagnosed, it’s important to start building a case and fighting for proper compensation. What Causes Neck & Back Pain In An Accident? The impact of a car crash exerts a significant amount of force on the bodies of vehicle passengers. A jerking motion occurs on impact from the halt of forward momentum. The structural design of the neck and back was never meant to withstand the forces that modern machines are capable of creating. The jerking motion (whiplash) in a crash stresses these structures and can result in serious damage. Immobility or permanent paralysis may also occur in cases of severe spinal damage. The lumbar region refers to the lower back. Lumbar sprains are the most common causes of lower back pain. Excessive force can cause tendons, ligaments, and muscles to stretch to the point of a sprain. Sprains in the lumbar region can be very debilitating and can take up to a month to heal. Lumbar sprains are difficult to diagnose based on imaging. Instead, doctors rely on patient feedback and experience to diagnose a lumbar sprain. Disc herniation is extremely common after an accident. The discs that make up the spine are comprised of a soft inner filling encased in a tough outer exterior. A herniated disc occurs when the inner filling ruptures out of the exterior shell. The rupture itself typically does not cause pain. Pain occurs when the protruding parts of the ruptured disc pinch nearby nerves. The result of pinched nerves may include arm or leg pain, a numbness or tingling in appendages, and reduced muscle strength. Symptoms vary depending on where in the spine the disc was located. Often, many sustain a herniated disc injury without any pain or discomfort at all. In more serious occurrences, surgery may be utilized to correct the injury. Herniated discs can take anywhere from six weeks to a year to fully heal. Stenosis is defined by the medical community as the narrowing of a body channel. The narrowing of the bone channel that houses the spinal nerves and cord can occur when a ruptured bone fragment invades the spinal canal. The reduction in space applies additional pressure to the nerves in the spine and can result in pain, tingling, and muscle weakness. It’s entirely possible to experience spinal stenosis without any symptoms. However, symptoms can worsen over time and it’s important to see a doctor if symptoms arise. Spinal degeneration encompasses a number of injuries and symptoms that occur as a result of the normal aging process. Degenerative spinal disorders include degenerative scoliosis, bulging discs, herniated discs, spinal osteoarthritis, degenerative disc disease, bone spurs, foraminal stenosis, spinal stenosis, pinched nerves, and sciatica. While degeneration is not the result of a crash, car accident trauma is the most common cause in the activation of symptoms related to degenerative spinal disorders. Many insurance companies will try to argue that preexisting degenerative disorders do not qualify for damages. However, degenerative spinal disorders leave a victim more vulnerable to injury. If an accident has caused or increased pain related to a disorder, then California law states that you are entitled to compensation. Discogenic pain arises from a damaged vertebral disc, which is the result of a degenerative disc disease in most cases. However, discogenic pain can also result from trauma due to whiplash or a fall. The pain may be confined to the damaged disc, or it may radiate to the legs, buttock, and groin in a condition known as sciatica. Discogenic pain can worsen over time with movement such as bending over, stretching, or standing for long periods of time. If left untreated, severe discogenic pain may require surgery to treat the condition. Most discogenic pain can be treated with anti-inflammatory medication, epidurals, or physical therapy. Pain may radiate throughout the body if a facet joint is injured. However, the pain is typically more prominent surrounding the joint or joints that sustained damage. Symptoms could include difficulty standing up, back pain, back stiffness, difficulty turning or tilting your head, back and neck muscle spasms, an aching pain in the back of the thighs, and headaches or neck pain. Back pain can be diagnosed with CT scans, MRI scans, and x-rays. 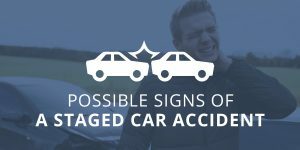 If you were injured in a Glendale car accident, there are a number of local facilities that can perform scans. Receiving prompt medical care should always be the number one priority after sustaining an accident injury. However, after having your injuries diagnosed by a medical professional, it’s important to seek reputable legal advice. 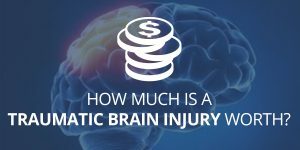 Neck or back injuries can be costly when you factor in treatment expenses, reduced pay from missed work, and vehicle repair costs. An experienced personal injury attorney can help protect your rights so that you receive the compensation you deserve. Megeredchian Law offers aggressive legal representation and unrivaled client service. Our attorneys have a history of producing fair settlements and our success rate on cases is a whopping 99%. Contact Megeredchian Law today to schedule a free initial consultation.